Kicking off year 25 – To my best estimate I have guided around 6,000 people since 1991. I am truly a blessed man. Being a fishing guide is fun and fulfilling profession. It requires long days and hard work but I have met so many wonderful folks, developed deep friendships and have experienced God's splendor daily. Thank you for being part of my dream job. Changes for this year - 2017 Charter pricing: Morning Striped Bass 6 hour $500, Afternoon Striped Bass 4 hour $400, Shark / School Tuna 8 hour $775, Lighthouse & Lobster Tour 3 hour $300, Inland Waterway Cruise 3 hour $300. New Gear - I'll be fishing a full complement of St. Croix MoJo one piece spinning rods with Shimano and Okuma reels this summer. Fly gear will be Orvis Helios 2 rods with Hydros and Mirage reels in 8-12 weights. 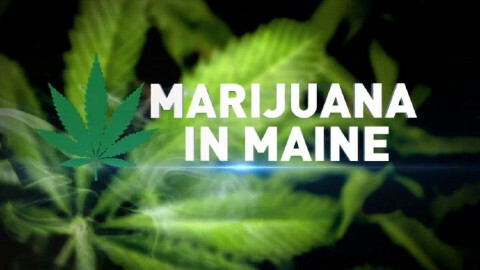 Even though the state of Maine has legalized both medical and recreational marijuana the Federal Government has not. Charter vessels like mine are federally licensed and regulated therefore you cannot bring recreational or medicinal marijuana on board. My USCG license and livelihood will be in jeopardy if you do so. And if boarded by the Coast Guard, you could be charged with a federal crime if you have it with you. If you must medicate do so prior to getting onboard the obsession. 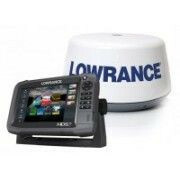 Also new on the Obsession this year is a 16 mile Lowrance G3 broadband radar which is fully integrated with my HDS8 sounder/plotter providing radar signatures directly on top of the chart plotter screen. Besides being really cool, it provides top notch safety on foggy mornings. Its looking like we're going to have lots of striped bass to catch this summer. They arrived a bit later than normal due to the cold and wet spring but there are here now. We're catching fish from 11"-25" with some 36"+ fish just showing up.